At some point in life, we all experience stress. It can be from financial worries, working long hours at the office, marital problems or a sick family member. When stressed, we feel isolated and cut off from the world. It is difficult to make meaning or sense even when it comes to normal things such as relaxing, smiling, laughing or even socializing. When sick or stressed, we would like to be left alone as we ponder the next step. What a vast majority of people don’t know is that stress has a negative impact on our lives. Not only physically but also mentally and emotionally too. The good news is that there are ways to manage your stress before it mismanages you. 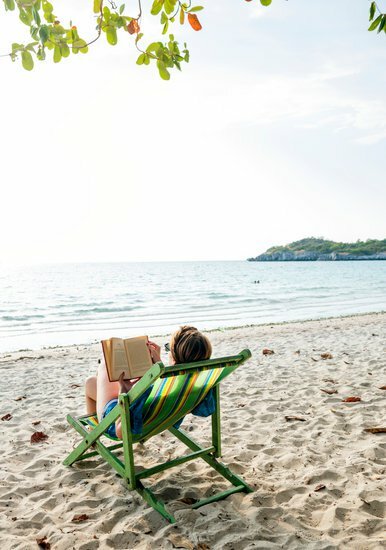 All you have to do is learn different relaxation techniques and before you know it, your health and life, in general, will improve. Here are 8 tips to relax and feel healthy when stressed. When sick or stressed, you can relax by spending more time with your family members and friends. We advise you to make a habit of meeting and connecting with family and friends at least once a week. To have fun with your family, start working out together. As a great idea, each family member can take a bike; plan a route and cycle as a family. The overall goal is to exercise and spend time as a family.
. To have fun with your family, start working out together. As a great idea, each family member can take a bike; plan a route and cycle as a family. The overall goal is to exercise and spend time as a family. Don’t have the time for the activities above? Why not keep in touch with family members and friends using available technology – video calls and social media. By doing so, you will learn how they are fairing and they will also learn how you are doing. Don’t forget to laugh a lot. Laughter triggers the production of good feel hormones in the body. After a hard day at work, we rarely find time to unwind. Once we get home, we immediately immerse ourselves in various chores, for instance, preparing dinner, helping the kids with their homework and planning for tomorrow. Before you know it, the day has passed, a new day has begun and you have yet to take some time away from your busy schedule and relax. When we are sick or stressed, we tend to overlook the need for some me time. Yes, your body is making it hard for you to leave the bed since you are sick and when you are around people, you feel agitated, short-tempered and anxious when stressed. It is important after a busy day at work to take some me time and relax. During this time, we advise you to read a new book. You can always download an electronic version of the book or purchase a hard copy at the bookstore. Alternatively, you can soak your worries away in your bathtub. One of the best solutions that will surely relax you is hitting the gym. At the gym, you will get to socialize with other members and your trainer. That is not all. You will participate in numerous exercises such as cardio and weight lifting. As a result, your body will release mood-boosting chemicals called endorphins and anandamide. These chemicals or neurotransmitters will help to lower your anxiety and improve your concentration. In addition, they will help you feel good. When stressed, we advise you not to switch on your TV and start binge-watching a TV series or movies. This will only escalate your anxiety and stress. In addition, it might lead to insomnia. As an art and cultural activity, music has a way of uplifting your mood and helping you relax. By this, we don’t mean blaring music in your ears but soothing music that may even lull you to sleep. In a study, it was discovered that listening to music has an impact on your health via stress-reducing effects. Researchers examined music effects across autonomic, emotional, endocrine and cognitive domains of the human stress response. 60 healthy female volunteers with a mean age of 25 years were picked for the study. They were assigned the following activities – listen to relaxing music, listen to the sound of rippling water and rest without acoustic stimulation. The findings revealed that listening to music has an impact on a person’s psychological stress system. For the best results, always choose what you love and not just any relaxing genres. Did you know that scents are powerful and they are more than just a pleasant experience passing by? Well, you will be surprised to know that there are essential oils for relaxation with the power to evoke emotions and improve your mood. As a result, you will get to relax and feel good. One thing you ought to know is that when you use essential oils to relax, it’s basically aromatherapy. This is a form of complementary therapy where essential oils are absorbed into the body via topical application during massage or inhalation. The active compounds in the essential oils will act on the hypothalamus thus triggering the production of good feel hormones. That is how you get to relax and stay stress-free. Essential oils for relaxation to try out include lavender, bergamot, neroli, and chamomile among others. When stressed, we tend to binge eat and our choices consist of foods rich in unsaturated fats and processed sugar, for instance, junk food, cake, candy and soft drinks. This is especially common when we are watching TV or playing video games. The question is – what triggers binge eating? Per kitchen advisor, Increased stress levels cause our bodies to react to the strain and automatically increase our heart rate, respiration, metabolism and blood pressure. Also known as the fight or flight response, it helps us cope with stress and problems quickly. This system triggers your adrenal glands which release cortisol into your bloodstream. This hormone increases your appetite and thus the reason why we binge eat. To boost your mood and alleviate stress, trade the junk food with fresh vegetables, fruits, and whole foods. Let’s face it. Life is not perfect. Today, everything may go extremely well but tomorrow or the next day, something may not go according to your plan, for instance, falling sick. This should not frustrate you to the point of getting stressed. What you ought to understand is that life has its ups and downs. When your life is progressing extremely well, try to appreciate every little bit of it. Don’t take it for granted and assume that life will remain so for you. You can keep a journal of how things go down so that when you are sick or stressed, you can relax and look back at your life and appreciate the experiences. According to the American Psychological Association, sleep is necessary. As such, it helps us recharge and rest. When we do not get enough sleep, our bodies are deprived the benefits of a good night sleep for instance memory consolidation, muscle repair and rest. When we lack a good night sleep, it affects our judgment, mood, and memory. If the situation turns out to be chronic, it can contribute to numerous health problems such as high blood pressure, obesity, and stress. Studies have revealed that people can be healthier, safer, happier and stress-free if they were to spend an extra hour or an hour and a half sleeping every night. When stressed, it interferes with how we sleep. This reduces the length and lowers the quality of sleep. As a result, we wake up feeling fatigued and we end up drinking lots of coffee which make our mood to soar and plummet. Before you know it, you are in a vicious cycle which causes you to lose sleep finally increasing your stress levels. To get a good night sleep, go to bed early and wake up at the same time each day. Make sure you keep to the same sleep schedule during the weekends. Avoid alcohol, coffee or exercises a few hours before bed. Switch off all your smart gadgets too. You also need to invest in memory foam mattress if you want to have a good night sleep. Why? Memory foam mattress conforms to your body shape since it consists of multiple layers of different densities of foam. As a result, it helps to deliver optimum joint and spinal support.